We are proud to announce that luxury brand Nicolazzi is now available at Real Stone and Tile. 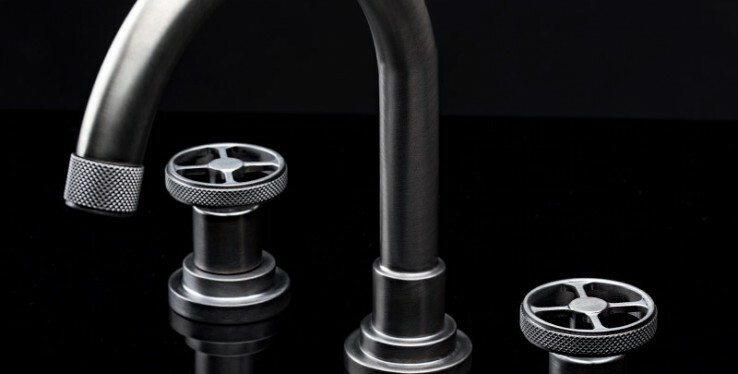 The Italian designer Nicolazzi has been creating unique, hand-crafted taps since 1960. The premium brand creates every single product in-house in Italy so that they can oversee the whole process from start to finish, meaning you never have to compromise on quality. With twenty different finishes to choose from, it would be hard not to find the perfect match to suit your style. Here are five Nicolazzi collections that we are sure will inspire you. If you're going for a modern, metropolitan feel, then the Arena Collection with its knurl handles is the perfect 'industrial-look' for your bathroom. Pair it with concrete tiles to build an edgy mechanical style and soften with accessories. For bathrooms with an artistic flair, the Liberty Collection is perfect. Real inlays in a decorative pattern give these taps character. Team the chrome Liberty with a marble basin to create a classic and ornate with a modern twist. If you can't decide on a definite design then the Agora Collection is ideal, a mixture of different styles all within the same product to create an elegant and sophisticated look. We recommend pairing the chrome or rose gold finish with a dark wood to give an edgy feel, perfect in rural properties. Nicolazzi's modern take on retro is the Mac Kinley 05 Collection. This range offers not only a soft, stylish appearance but also convenience with its wide levers. The simplicity of this collection makes it perfect to pair with dark colours, consider a natural colour palette of browns for your tiles, this will ensure you achieve an earthy yet stylish haven. For a sleek look with a twist, go no further than the Monte Croce Collection with its cross handles and rounded corners. Match this modern tap with some terrazzo tiles to marry texture and pattern perfectly, whilst adding much needed character to your bathroom. The Nicolazzi range is exclusively available through Bagno Design, to view the range visit our Cheadle showroom or give us a call on 0161 485 1373.